Colorado Firefighters- buying a home? There are two firefighter loan discounts and Colorado firefighter mortgage loan programs available. Savings are in the thousands when using these programs on your home purchase in Colorado. 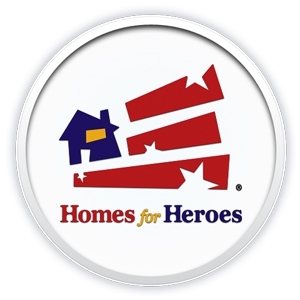 The two programs are: Homes for Heroes, and the Colorado Home Buyer Tax Credit, or MCC. Homes for Heroes honors your service to our community as Firefighters who give so much to make Colorado an incredible place to live. Colorado Firefighters are one of the groups that we honor through this discount. The HFH program gives Firefighters mortgage discounts off their closing costs. Use more HFH network providers, get more savings. Receive discounts from Realtors, contractors, etc. You can receive discounts when either buying or refinancing. The tax credit, or Mortgage Credit Certificate (MCC) is available on many Firefighter loans in Colorado. The MCC is can be claimed on your home purchase transaction (or a refinance if you have an existing MCC on your current loan). The tax credit savings are tens of thousands of dollars, on average, between $125-$250 per month off your mortgage interest for the life of your loan! To qualify, you must fall under your county income limits and be either a first time home buyer, Veteran, OR purchase a home in a "targeted" area. This means that many Colorado Fire Fighter mortgage loans qualify for the tax credit! These two outstanding Colorado Firefighter mortgage discounts are both available through us. Most lenders don't have access to both of these programs, meaning you won't get all of the savings you are entitled to. Your lender must also understand the unique aspects of working with firefighter loans Colorado. You will have an on-time closing and the best service because of our in-house underwriting and funding, and will have access to all of your savings programs. For help with your questions or to get pre-approved, call RJ Baxter in the office at 303-670-0137 or visit us at www.cohomesandloans.com. We will provide honest answers and straight talk about Colorado Firefighter mortgage loans!